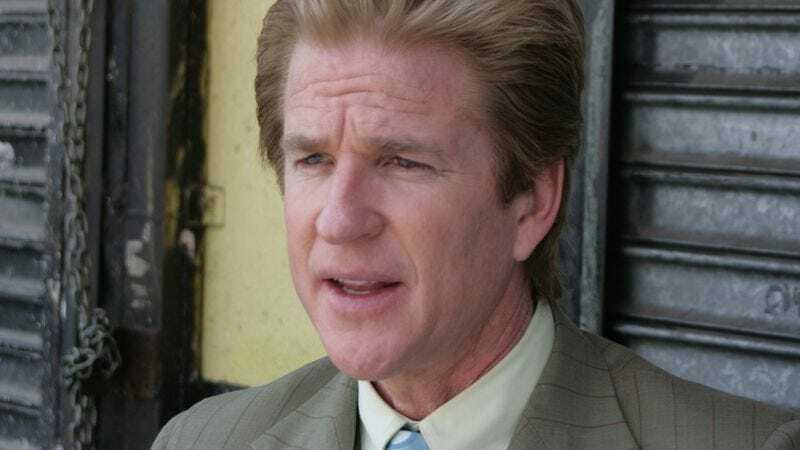 In keeping with Christopher Nolan’s charitable aims of providing ’80s actors with late-career blockbusters, Matthew Modine has been added to the cast of The Dark Knight Rises, joining an esteemed ensemble of guys like Rutger Hauer, Eric Roberts, Anthony Michael Hall, and Tom Berenger who have all appeared in Nolan films in supporting roles. And of course, Modine’s Full Metal Jacket character gave Variety the opportunity to use the “Joker in Dark Knight Rises” gag already, leaving only useless scraps like Gross Anatomy or Married To The Mob to play with, unfortunately for you. The film continued to round out its supporting cast with 11-year-old Joey King and veteran Scottish actor Tom Conti, though obviously Modine’s participation is the big news here. It hasn’t been confirmed yet, but it’s rumored he’ll be playing the character “Nixon”—though there aren’t many more details than that. Most likely “Nixon” is a new invention, but it’s also a possible indicator that Dark Knight Rises will incorporate that comic where Batman foils the Watergate break-in, after Nixon tries to steal the Democratic National Committee’s supply of delicious Hostess cupcakes. Though it’s just as possible we’re totally imagining said comic ever existed. We're kind of padding Dark Knight news out at this point.